Come Sunday, it’s gonna be all about spoiling the most important men in our lives: fathers, of course! With Father’s Day right around the corner, everyone is on the prowl for the perfect present for their old man. There’s no better way to celebrate dad than by giving him fresh eyewear, a.k.a. the gift that keeps on giving. Stylish reading glasses and sun readers are great options for daddios who struggle with that teeny tiny font. 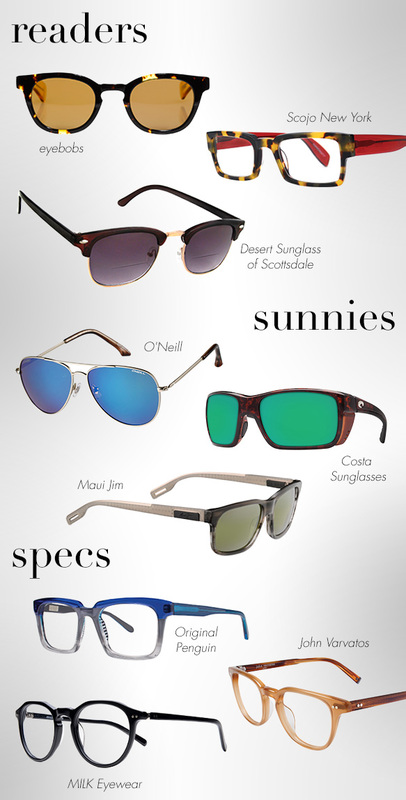 Specs-wearing guys will surely love a new pair to add to their collection. And of course everyone could use cool sunglasses, especially during the summer months when those UV rays are always at play. Take a looksie at our top picks below, and feel free to leave us a comment for purchasing deets!